vendettas, displays of masculinity and raucous street weddings punctuate daily life. A treacherous stretch of highway, coined “Street of Death” after the many young lives lost performing motorcycle stunts, separates the area from the dazzling Mediterranean sea. “Street of Death” draws a raw and intimate portrait of a neighborhood through the stories of five inhabitants, weaving the past and present, and inviting a re-examination of our relationship to theturmoil of adolescence. 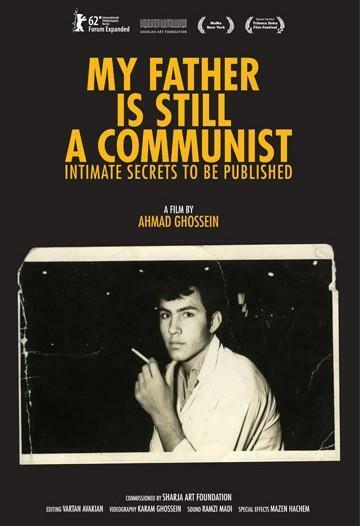 Through ten years of a love relationship recorded on several audio tapes and sent like love letters, the filmmaker shares the confessions and declarations made by his mother, Maream Hmadeh, to his father, Rashid Ghossein. Married during the civil war years, they were then separated by Rashid’s time abroad looking for work. During his father’s long absences, little Ahmad pictured him as a war hero fighting for the Communist Party. “My Father is Still a Communist” is a living chronicle of lives marked by the economies of migrant labor, and by the effects of war. But more than these, it is a work that documents the roles that women are often left to play in the face of men, sometimes beloved, who depart to work in other lands; women who remain with only the memories of love, and fading hopes for a future together. Born in 1988 in South Lebanon, Karam Ghossein is a filmmaker, cinematographer and actor, who now lives in Berlin. He holds a degree in Cinema & Television from the Lebanese University, Faculty of Fine Arts. Since 2006, he has worked as cinematographer on numerous short experimental, documentary and fiction films, as well as TV productions. His work has been shown at Berlinale, MoMA New York, Centre Pompidou Paris, Tribeca Doha, Guggenheim New York, among others. 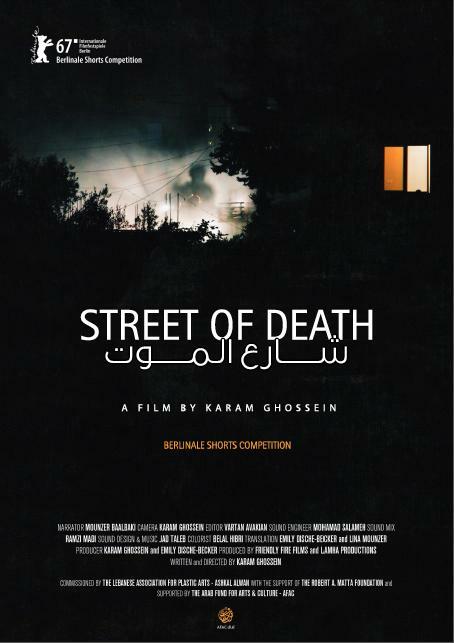 His directorial debut “Street of Death” (Lebanon, Germany/ 22″/ 2017/ Arabic with English subtitles) had its world premiere at the Berlin International Film Festival in 2017, where it won the Audi Short Film Award. It has since screened at dozens of festivals worldwide. He plays the lead role in Ahmed Ghossein’s upcoming feature “All This Victory”, and is currently pursuing an MA in Cinematography at Babelsberg Film University Potsdam while developing his first feature documentary. Ahmad Ghossein is an artist and filmmaker. He holds an MFA in Visual Art from the National Academy of Art-(KHIO) in Oslo and a BFA in Theater from the Lebanese University, Beirut. His practice utilizes a number of media, including video art, installation, art in public spaces, photographs and film. He is interested in the connection between individual human experiences and shared historical and political realities. Ghossein’s work has been exhibited in different museums and galleries, including MoMA and New Museum in New York, Sharjah Art Foundation, Centre Pompidou in Paris, Oslo Kunstforening, and has been screened in various film festivals including the Berlin, Dubai, Tribeca Doha, Oberhausen and Fid Marseille Film Festivals. His latest short film, White Noise, was produced under the auspices of “Lebanon Factory” and opened the Director’s Fortnight at the 2017 Cannes Film Festival (La Quinzaine des Réalisateurs – Cannes). His first feature film, “All This Victory” starring Karam Ghossein will be released in 2019.